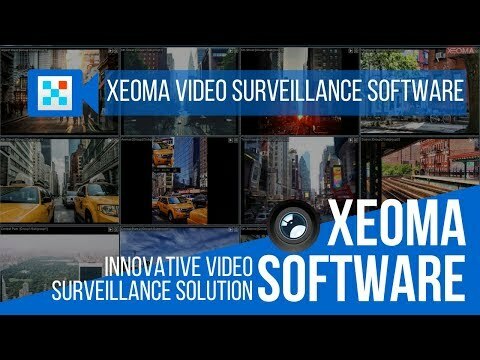 Xeoma is perfect CCTV softare. Xeoma can work as a usual computer program (under Windows, Mac, Linux, Linux ARM, Android + mobile apps for Android и iPhone + web browser view from any devices), or as a Cloud service (VSaaS).Support for any cameras: analogue, IP, USB, perfect for hybrid systems. Video analytics: PTZ tracking, license plate recognition, face recognition, face and objects blur, visitors counter, detectors of crowd, objects, smoke, sound, abandoned items. This FelenaSoft Ltd End-User License Agreement (“EULA”) is a legal agreement between you (either an individual or a single entity) and FelenaSoft Ltd for the Xeoma software by FelenaSoft Ltd. If you do not agree to the terms of this EULA, you may not use or install the software product. By installing and (continuously) using the FelenaSoft Ltd software You agree to be bound by the terms of this Agreement. You assume full responsibility for the selection of the software to achieve your desired results and for the installation of, the use of and the results obtained from the software. FelenaSoft Ltd grants a license to use the software product in any of three modes: free, trial and commercial. Free mode allows to use up to 8 cameras, with up to 3 modules in each camera’s scheme, including one video source for an unlimited period of time, and to control the program from the computer where it is installed. In trial mode it is possible to use an unlimited number of modules in any combinations. Also, the remote access is available. Specified settings are active for 48 hours since they are defined. Commercial mode is available after buying license for any number of cameras/video sources. This mode allows to use any modules in any combinations. The only limit is the total number of video source modules in use (limited by license). The system can be controlled remotely as well. FelenaSoft Ltd provides free updates and technical support during 12 months since license purchase date. The license fees paid by you are paid in consideration of the license granted under this Agreement. FelenaSoft Ltd does not refund license fees. By accepting this agreement you fully understand that once license fee payment is made to FelenaSoft Ltd you will have no recourse for receiving a refund of any part of the fees. You are entitled to use your copy of the software on one computer. “Use” means loaded in temporary memory or permanent storage on the computer. Serial key activation is allowed only on one computer, its identification number binding. To use the commercial edition of the software on different computers, please, buy serial keys for each one. The software contains components that enable and facilitate checking of its version, installation date, operating system version, edition and brands and models of cameras you are utilizing and cookies. You acknowledge and agree that Xeoma software may anonymously send the gathered information to the server monthly for the purpose of making calculations of active users of different Xeoma versions. You may make one copy of the software solely for backup or archival purposes. You may not rent or lease the Software or copy any written materials accompanying the software. You may transfer the software and all accompanying materials to another individual on a permanent basis, if you retain no copies and the recipient agrees to the terms of this Agreement. Any transfer must include all existing versions of the software. You shall not modify, translate, reverse engineer, decompile the software or any part thereof or otherwise attempt to derive source code or create derivative works there from. You are not allowed to remove, alter or destroy any proprietary, trademark or copyright markings or notices placed upon or contained with the software. In case the software was rebranded with the FelenaSoft rebranding utility, you are not allowed to submit the resulted product to catalogs like App Store, Google Play or other of the same nature; or stores like eBay, Amazon, etc. The costs for services and licenses for such resulted product can not be lower than those for Xeoma provided by FelenaSoft. Registration codes may be used, stored or copied only by the person or organization, which has licensed the software, and solely for the purpose of using the software within the terms and conditions of this Agreement. No person or organization is permitted to store or copy a registration code for any other purpose without written agreement from FelenaSoft Ltd.
FelenaSoft Ltd does not warrant that the functions of the software will meet your requirements or that the operation of the software will be uninterrupted or error free. You assume responsibility for selecting the software to achieve your intended results, and for the use and the results obtained from the software. In no event shall FelenaSoft Ltd or its suppliers be liable for any indirect, incidental, special or consequential damages or for any damages whatsoever (including but not limited to damages for loss of business profits, business interruption, loss of business information, personal injury, loss of privacy or other pecuniary or other loss whatsoever) arising out of use or inability to use the software. You acknowledge and agree that FelenaSoft Ltd has no obligation to make available to You any subsequent versions of the software. You also agree that you may have to enter into a renewed version of this Agreement, in the event you want to download, install or use a new version of the software. If you do not read and agree to be bound by the terms and conditions defined in this document, you are not permitted to keep or use the software or registration codes in any way whatsoever and must destroy or return all copies of these items which are in your possession. The Agreement is concluded for an undefined period of time. By violating the provisions about copyright and other restrictions according to this Agreement the End-User is no longer entitled to use FelenaSoft Ltd software. The observance of this agreement is conditional for the legal use of the software. In case of intentional violation of any obligation stipulated in this agreement by the End-User, FelenaSoft Ltd is entitled to terminate this Agreement extraordinarily and immediately. Addendum for countries with software patents. FelenaSoft Ltd developed the software using only its own algorithms, ideas, designs, etc. FelenaSoft Ltd did not use other’s algorithms, ideas, designs, etc., nevertheless it is impossible to examine the patent novelty of all ideas, design versions, algorithms, etc. used for accidental coincidence with patents all over the world. The accidental coincidence with patents is highly unlikely and FelenaSoft Ltd is not aware of such facts. If any ideas, design versions, algorithms, etc. coincide with any patented inventions requiring licensing or violate any patent rights in your country, please, before using the software apply to the patentee and let us know about it as well. Exemption from liability: the End-User is responsible for any infringement of copyright, patents or current legislation caused by the software use. FelenaSoft Ltd and its suppliers are not responsible for the End-User infringing upon patent laws or current legislation. Given below are copyright notices for third party components utilized. These components and information are provided for free without any restrictions and no additional conditions are applied to the End-User. You do not need even to read the given below licenses, because including copyright notices is the only condition for free use of those components. 3. Neither the name of the copyright holder nor the names of any other contributors may be used to endorse or promote products derived from this software without specific prior written permission. BUT NOT LIMITED TO, PROCUREMENT OF SUBSTITUTE GOODS OR SERVICES; LOSS OF USE, DATA, OR PROFITS; OR BUSINESS INTERRUPTION) HOWEVER CAUSED AND ON ANY THEORY OF LIABILITY, WHETHER IN CONTRACT, STRICT LIABILITY, OR TORT (INCLUDING NEGLIGENCE OR OTHERWISE) ARISING IN ANY WAY OUT OF THE USE OF THIS SOFTWARE, EVEN IF ADVISED OF THE POSSIBILITY OF SUCH DAMAGE. See below for the actual license texts. Actually both licenses are BSD-style Open Source licenses. In case of any license issues related to OpenSSL please contact openssl-core@openssl.org. 5. Products derived from this software may not be called “OpenSSL” nor may “OpenSSL” appear in their names without prior written permission of the OpenSSL Project. PURPOSE ARE DISCLAIMED. IN NO EVENT SHALL THE OpenSSL PROJECT OR ITS CONTRIBUTORS BE LIABLE FOR ANY DIRECT, INDIRECT, INCIDENTAL, SPECIAL, EXEMPLARY, OR CONSEQUENTIAL DAMAGES (INCLUDING, BUT NOT LIMITED TO, PROCUREMENT OF SUBSTITUTE GOODS OR SERVICES; LOSS OF USE, DATA, OR PROFITS; OR BUSINESS INTERRUPTION) HOWEVER CAUSED AND ON ANY THEORY OF LIABILITY, WHETHER IN CONTRACT, STRICT LIABILITY, OR TORT (INCLUDING NEGLIGENCE OR OTHERWISE) ARISING IN ANY WAY OUT OF THE USE OF THIS SOFTWARE, EVEN IF ADVISED OF THE POSSIBILITY OF SUCH DAMAGE. lhash, DES, etc., code; not just the SSL code. The SSL documentation included with this distribution is covered by the same copyright terms except that the holder is Tim Hudson (tjh@cryptsoft.com). 3. All advertising materials mentioning features or use of this software must display the following acknowledgement: “This product includes cryptographic software written by Eric Young (eay@cryptsoft.com)” The word ‘cryptographic’ can be left out if the rouines from the library being used are not cryptographic related :-). ARE DISCLAIMED. IN NO EVENT SHALL THE AUTHOR OR CONTRIBUTORS BE LIABLE FOR ANY DIRECT, INDIRECT, INCIDENTAL, SPECIAL, EXEMPLARY, OR CONSEQUENTIAL DAMAGES (INCLUDING, BUT NOT LIMITED TO, PROCUREMENT OF SUBSTITUTE GOODS OR SERVICES; LOSS OF USE, DATA, OR PROFITS; OR BUSINESS INTERRUPTION) HOWEVER CAUSED AND ON ANY THEORY OF LIABILITY, WHETHER IN CONTRACT, STRICT LIABILITY, OR TORT (INCLUDING NEGLIGENCE OR OTHERWISE) ARISING IN ANY WAY OUT OF THE USE OF THIS SOFTWARE, EVEN IF ADVISED OF THE POSSIBILITY OF SUCH DAMAGE. Copyright (C) 1991-2010, Thomas G. Lane, Guido Vollbeding. All rights reserved. 3. Neither the name of the libjpeg-turbo Project nor the names of its contributors may be used to endorse or promote products derived from this software without specific prior written permission. THIS SOFTWARE IS PROVIDED BY THE COPYRIGHT HOLDERS AND CONTRIBUTORS “AS IS”, AND ANY EXPRESS OR IMPLIED WARRANTIES, INCLUDING, BUT NOT LIMITED TO, THE IMPLIED WARRANTIES OF MERCHANTABILITY AND FITNESS FOR A PARTICULAR PURPOSE ARE DISCLAIMED. IN NO EVENT SHALL THE COPYRIGHT HOLDERS OR CONTRIBUTORS BE LIABLE FOR ANY DIRECT, INDIRECT, INCIDENTAL, SPECIAL, EXEMPLARY, OR CONSEQUENTIAL DAMAGES (INCLUDING, BUT NOT LIMITED TO, PROCUREMENT OF SUBSTITUTE GOODS OR SERVICES; LOSS OF USE, DATA, OR PROFITS; OR BUSINESS INTERRUPTION) HOWEVER CAUSED AND ON ANY THEORY OF LIABILITY, WHETHER IN CONTRACT, STRICT LIABILITY, OR TORT (INCLUDING NEGLIGENCE OR OTHERWISE) ARISING IN ANY WAY OUT OF THE USE OF THIS SOFTWARE, EVEN IF ADVISED OF THE POSSIBILITY OF SUCH DAMAGE. This software includes freetype2 library (based in part of the work of the FreeType Team). Most files in FFmpeg are under the GNU Lesser General Public License version 2.1 or later (LGPL v2.1+). Read the file COPYING.LGPLv2.1 for details. Some other files have MIT/X11/BSD-style licenses. In combination the LGPL v2.1+ applies to FFmpeg. Some optional parts of FFmpeg are licensed under the GNU General Public License version 2 or later (GPL v2+). See the file COPYING.GPLv2 for details. None of these parts are used by default, you have to explicitly pass –enable-gpl to configure to activate them. In this case, FFmpeg’s license changes to GPL v2+. libavcodec/jrevdct.c are taken from libjpeg, see the top of the files for licensing details. Specifically note that you must credit the IJG in the documentation accompanying your program if you only distribute executables. You must also indicate any changes including additions and deletions to those three files in the documentation. Should you, for whatever reason, prefer to use version 3 of the (L)GPL, then the configure parameter –enable-version3 will activate this licensing option for you. Read the file COPYING.LGPLv3 or, if you have enabled GPL parts, COPYING.GPLv3 to learn the exact legal terms that apply in this case. Some external libraries, e.g. libx264, are under GPL and can be used in conjunction with FFmpeg. They require –enable-gpl to be passed to configure as well. The OpenCORE external libraries are under the Apache License 2.0. That license is incompatible with the LGPL v2.1 and the GPL v2, but not with version 3 of those licenses. So to combine the OpenCORE libraries with FFmpeg, the license version needs to be upgraded by passing –enable-version3 to configure. The nonfree external libraries libfaac and libaacplus can be hooked up in FFmpeg. You need to pass –enable-nonfree to configure to enable it. Employ this option with care as FFmpeg then becomes nonfree and unredistributable. ffserver is free software; you can redistribute it and/or modify it under the terms of the GNU General Public License as published by the Free Software Foundation; either version 2 of the License, or (at your option) any later version. ffserver is distributed in the hope that it will be useful, but WITHOUT ANY WARRANTY; without even the implied warranty of MERCHANTABILITY or FITNESS FOR A PARTICULAR PURPOSE. See the GNU General Public License for more details. Mozilla LDAP for Linux is available under the terms of the Mozilla Public license https://www.mozilla.org/MPL/1.1/ . If you do not agree to the terms of the Policy, you may not use or install the software product. By installing and (continuously) using Xeoma You agree to be bound by the terms of this Policy. Felenasoft Ltd. does not share users' personal information with third parties, except when a user has given his/her consent. 2.1. Xeoma may send to a server once a month some information that is not considered private: its version, installation date, OS version, type of edition, memory error address and Xeoma cookie information for the goal of counting active users of various versions of Xeoma and therefore of improving customer service. 2.2. Xeoma does not send and Felenasoft Ltd. or any third parties do not have access to any personal or private information that Xeoma works with on a user's computer, including but not limited to audio, photo and video data (including those for cameras), archive footage, settings, passwords, addresses and access details as well as number of cameras, email addresses or passwords, remote access details, any data Xeoma processes, or any data the user has on computer, etc. Felenasoft Ltd. or Xeoma do not carry out covert audio, photo or video surveillance on users. 2.3. In case of enabling of remote access to the server part, use of Repeater service or Web server module or any other modules that work with external resources (for example, email sending), the data can only be accessed by the user with the specified password that should be strong enough to crack and by these resources (for example, if email sending is set to send video or photos from cameras - the corresponding provider of the email account) according to the explicit settings of the user. Felenasoft Ltd. does not store or process users' personal data. Felenasoft Ltd. takes all administrative and technical measures to safeguard user's personal information against loss, theft, and misuse, or unauthorized access, disclosure, and destruction. In case the user has subscribed to Xeoma newsletter on Felenasoft Ltd. on his/her own and confirmed subscription to the email address by following the link in the confirmation email, no data is given on to third parties, and the address is only used for Xeoma news sendout according to the specified interval. No third parties advertisements will be ever send. The user is free to unsubscribe at any moment in just one click on a link given in each letter, no additional actions required. Felenasoft Ltd. is bound to not disclose the personal information of a user, received during license purchase, or not give it to third parties. Felenasoft Ltd. may apply changes to this Policy without notice. Last update date is always posted below. New edition of the Policy is valid since the moment it's published. The updated version is always available on this page http://felenasoft.com/xeoma/en/privacy/.